A Roewe 950 hybrid electric sedan at a dealership in Shanghai on Jan. 11, 2017. China has agreed to adjust the pace of introducing stringent domestic quotas for electric vehicle sales, Daimler CEO Dieter Zetsche said on Friday after an auto industry lobbying effort ahead of a Germany-China summit. 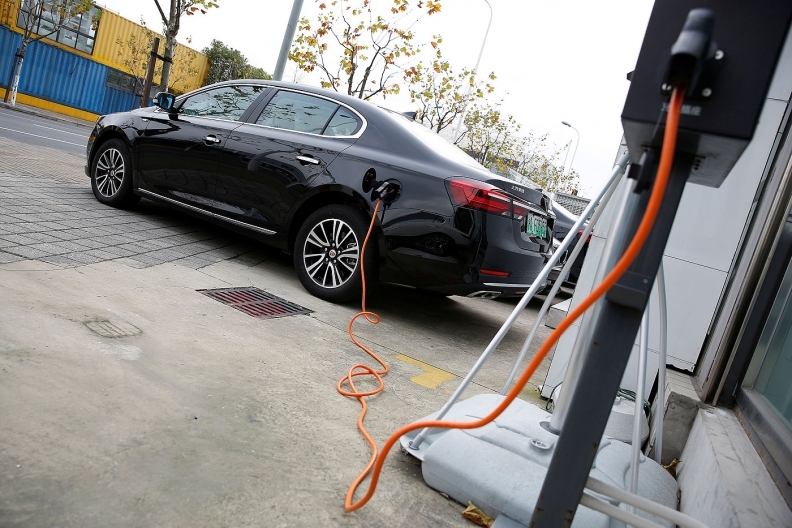 In a policy draft in September, Chinese policymakers proposed that 8 percent of automakers' sales be EV or plug-in hybrid vehicles by 2018, sparking protests from domestic and international automakers. Government officials aim to use the targets and other incentives to counter pollution and harmful greenhouse emissions in the world's biggest light-vehicle market. After a meeting with German Chancellor Angela Merkel in Berlin on Thursday, Chinese Premier Li Keqiang said a "solution" for implementing the quotas had been found, though he gave no details. Asked what had been agreed between Germany and China, Zetsche told Reuters: "What we talked about was the timeline, the pace of this transition. I think we reached a result which is satisfactory for everybody." Zetsche said that he could not give further details given that the Chinese and German participants in the negotiation had also not divulged details of the compromise. Maintaining and extending its current strong position in China is crucial for Germany's auto industry, led by Volkswagen, Daimler and BMW, and its broader economy. Handelsblatt, citing industry sources, said China had agreed to delay the introduction of the rule by a year and allow companies to make up for inadequate EV volumes later. Measures were also being investigated to allow German firms to limit their transfer of technology to China, Handelsblatt said.